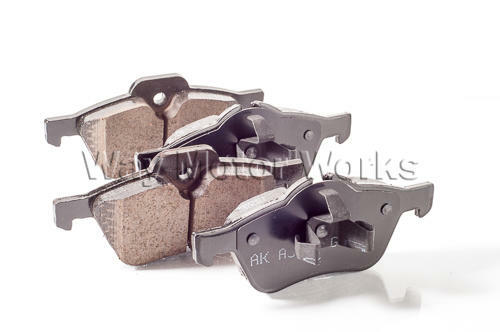 Akebono EURO Brake Pads for 2002-2006 MINI Cooper and Cooper S, and 2005-2008 MINI Cooper and Cooper S convertible. MINI Cooper owners across America now have a brake pad solution that will keep their wheels virtually free from dust and provide the European stopping power they expect. The use of highly advanced ceramic brake pad technology allows Akebono’s “EURO” pad line to provide excellent stopping power while extending rotor life and virtually eliminating brake dust.